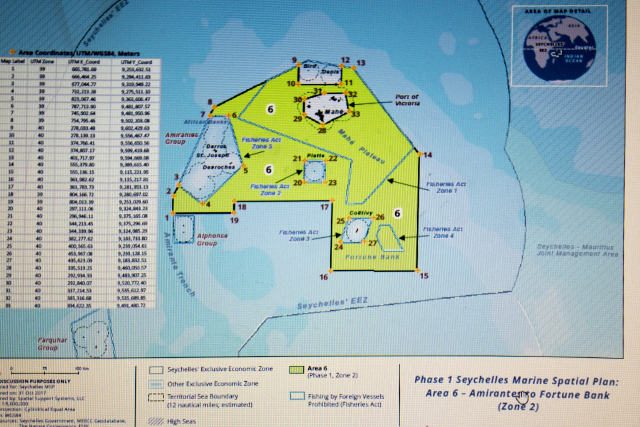 (Seychelles News Agency) - Two new areas - around the Aldabra and Amirantes groups - will by February next year be designated as protected areas as part of a six-year public process called the Seychelles Marine Spatial Plan Initiative. Helena Sims - the project manager of the plan - told SNA last week that the decision is in support of the UN Convention on Biological Diversity to improve marine protection worldwide. Sims explained that the government recognised that more effort is needed to conserve marine resources to ensure a healthy and well sustained marine ecosystem for present and future generations. The change will also support the fisheries, tourism and other key sectors contributing to the Blue Economy in Seychelles. Sims added that “the move to designate more protected areas also arises from the signing of a debt-for-climate-change-adaptation swap in 2016 that converted some of Seychelles' foreign debt to target conservation and climate change adaptation in the country." This resulted in the setup of the Seychelles Conservation and Climate Adaptation Trust, an independent, private trust. The debt swap is an award-winning and innovative financing mechanism to assist Seychelles – a group of islands in western Indian Ocean - to address conservation and climate change adaptation. The Nature Conservancy provided funding, technical design and leadership. Sims said that the new designation is important because, at present, 47 percent of Seychelles' land is protected to conserve the islands’ unique and important terrestrial ecosystems, but only 0.04 percent of Seychelles' ocean territory is protected. 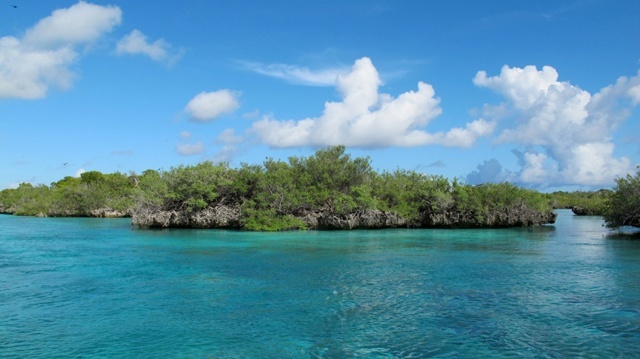 The Aldabra Group which covers 74,400 square kilometres is being nominated for ‘Marine National Park’ category under the existing National Parks and Nature Conservancy Act of 1969. This area is described by the Marine Spatial Plan as a High Biodiversity Protection. The second area -- Amirantes to Fortune Bank -- is 136,750 square kilometres and is being nominated as an ‘Area of Outstanding Natural Beauty’ category, under the same Act. For the second area – the Amirantes to Fortune Bank - this designation will mean that species and habitats will receive higher protection than they currently do. This will ensure that economic activities will be done in a more sustainable way so that the integrity of the ecosystem is maintained. Sims adds that both areas are rich and diverse in terms of marine life, much like a lot of Seychelles’ water. In the face of uncertainty due to climate change and ecosystem dynamics, it is important to protect species and habitats in several locations in the archipelago such as endangered green and hawksbill turtles, tuna, marlin, and breeding whales. The locations contain numerous breeding seabirds, some of the largest colonies in the world for three species, and have been identified by BirdLife International and Nature Seychelles as Marine Important Bird Areas.Amirantes to Fortune Bank contains some economically important areas for local and foreign fishing and Sims said that they are working with these sectors to improve sustainability for the compatible fishing activities. “The Aldabra group is especially important for sharks and we know that there are at least 10 shark species in these waters. The presence of sharks indicates a healthy ecosystem. There are serious concerns about the loss of sharks in Seychelles, and around the world,” said Sims. The areas will also support the implementation of the Seychelles Blue Economy agenda and integration with numerous other projects and initiatives. There are currently 18 marine protected areas in Seychelles, and six of them are marine national parks. There are also three fisheries management protected areas, three special reserves, one protected area, and four shells reserves.